This chapter summarizes the use of nanoparticles for the delivery of radionuclides for nuclear imaging and therapy. Due to their modularity and flexibility, radiolabeled nanoparticles have the potential to play a key role in the diagnosis and management of cancer in the near future. 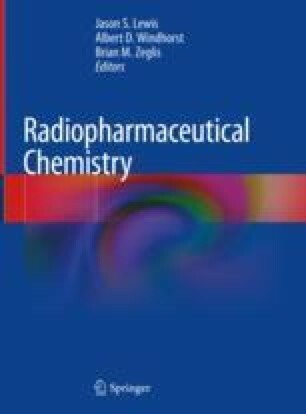 Currently, however, the development and clinical implementation of radiolabeled nanoparticles faces several major challenges, including improving their targeting efficiency, developing robust methods for both the encapsulation/integration of radionuclides and the conjugation of targeting ligands, achieving favorable safety profiles, and overcoming regulatory concerns. When nanoparticles are able to overcome these roadblocks, they have the chance to become integral tools in the landscape of nuclear medicine.